We offer high-precision measurements for environmental applications. We are the first Radiocarbon Dating Laboratory in Switzerland and use the Gas Proportional Counting Technique in our unique underground laboratory. Our dating reaches back 50,000 years. We also offer measurements of 3H, 37Ar, 39Ar, and 85Kr. Stable isotopes of carbon, 13C, and hydrogen, 2H, are determined on samples from various environmental systems. 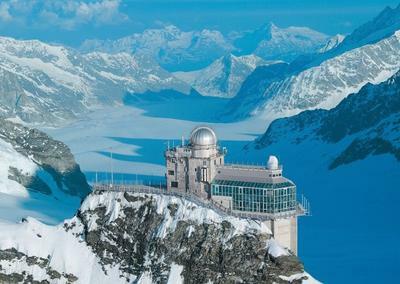 The International High-Altitude Research Stations at Jungfraujoch and Gornergrat are managed by Prof. M. Leuenberger.